I slept in this morning. Didn’t crawl out of bed until about 7:30. My flights to Brooks Lodge were arranged with the lodge as part of my package. I flew out of Anchorage on PenAir. Our flight was delayed Wednesday morning by 2 hours due to weather. Flew to King Salmon where we were met by a computer van that took us to our float plane to the lodge. 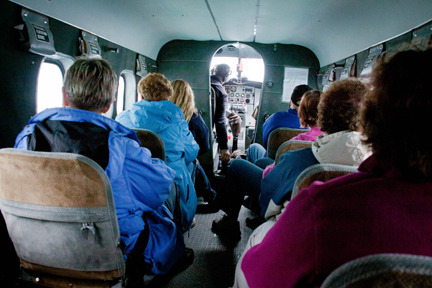 We flew in a De Havilland (sp) Otter to the lodge. 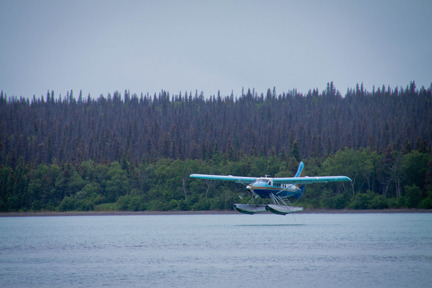 Here’s picture of it landing at the lodge to pick us up for the return trip yesterday. 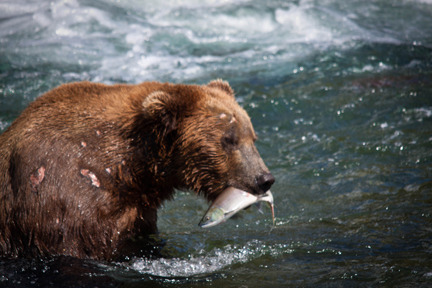 After loading up, the 10 passengers flew back to King Salmon. I’m sitting in the back row and their is a gentlemen to my right and there’s a 12-13 year old in the co-pilot’s seat. The lodge is fine. It is a lodge. This is not the Hilton. My room rate for a single person was $615. 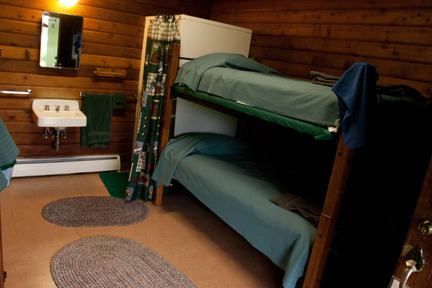 My hostel in Juneau looked similar except I didn’t have a private shower in Juneau. It cost me $10 but then I didn’t have a river full of bears to take pictures of. 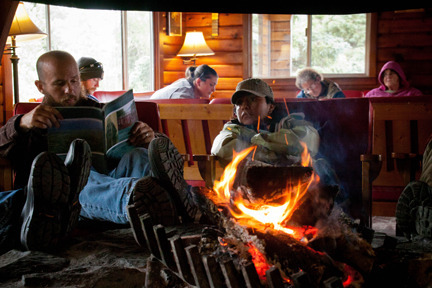 Obviously, they have to make their money in about 3 months and they are the only lodge here. They have another lodge a couple of miles away for fishermen who fly in. There was another bunk across from this one. Please understand, I’m not complaining. 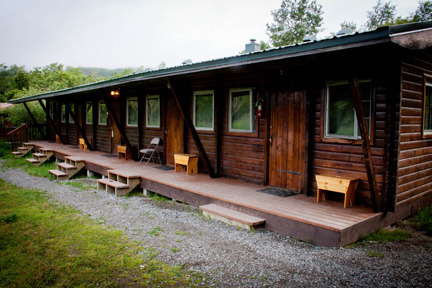 The round-trip flight was $630 so the package for air and one night at the lodge was $1246. The breakfast buffet was $15, lunch $25 and dinner was $35. 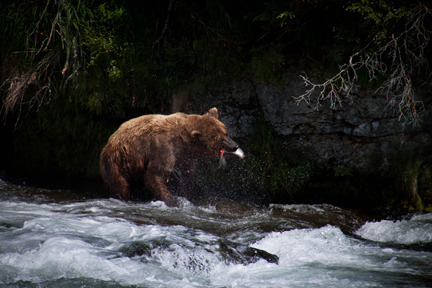 For the access to the bears and the pictures I got….IT WAS WORTH IT. This was a lounge area connected to the dining room. Here guests were waiting for the flights out yesterday. Several different float plane companies fly passengers in from King Salmon, Homer and other places small towns. After hiking out the trail you come to a long elevated boardwalk that leads to two viewing platforms. One platform is over the lower river and the other is next to the falls. 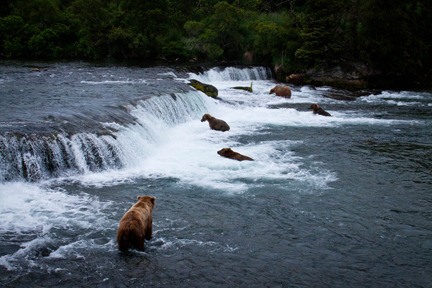 The majority of the bears come to the falls during the July salmon run. 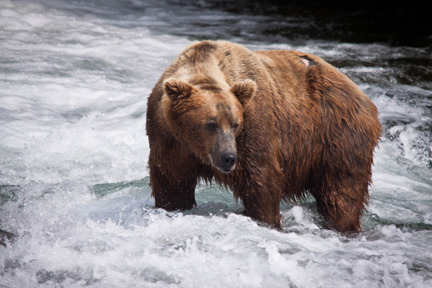 When the bears come back for the September run they are in the lower river and not at the falls. 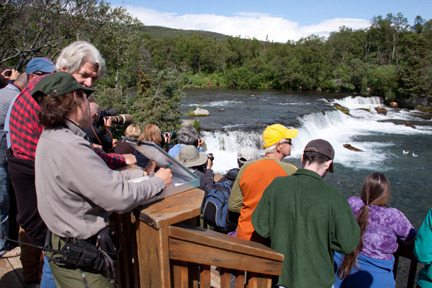 The people gathered at the falls platform are shooting everything from $25,000 camera and lens combinations to point-and-shoot cameras. There are some huge lens on some of the cameras here and most of those I met aren’t professional photographers. They are just very serious amateurs with more money to spend on lenses that I have. The Ranger here is keeping a list of how long everyone is on the platform. When there are a lot of people who want to have access there is a one-hour time limit. You have to exit the platform and you can sign up for another hour right away. They are keep track of bears seen near the trail back to the lodge and won’t let you off the platform until a bear has moved on. That doesn’t mean you still won’t encounter a bear (or as in my case Wednesday, three) on the walk to and from the lodge. Here are a few more pictures from the platform. I’m going to run some errands and starting finalizing plans for the next five days. 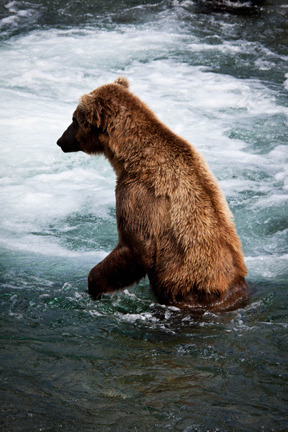 I have to be a Denali National Park next Thursday to begin my five nights there. I just booked Jean’s flight to Great Falls, Montana where she’s going to meet me on August 20 for the drive back through Kansas to her parents and home. We should be back in Dallas on Friday or Saturday the 26th or 27th. I’ll post again soon. Thanks for following the trip!